I Am Having A Love Affairs With Burna Boy – Stefflon Don Confirms – English rapper, Stefflon Don, 27, has affirmed she is having a love affairs with Afrobeats artist, Burna Boy yet ‘he ain’t hit yet’. 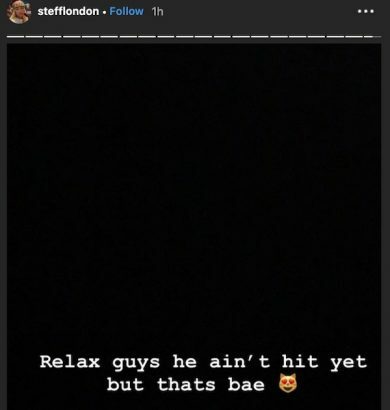 The gossip about Burna & Stefflon having a love affairs together appeared yesterday when Burna boy posted a clip with Steff getting comfortable. Burna Boy quickly erased the clip however trust these followers they have copied the video & distribute it on the internet. Steff was seen having a nap in the video. 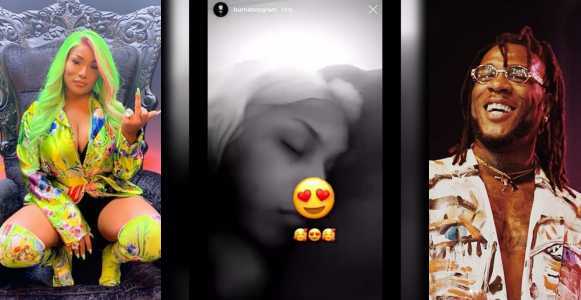 She posted a message on Instagram Story shortly after the clip was circulated, affirming that Burna his her new boo. “Relax guys he ain’t hit yet, but that’s bae,” she composed.